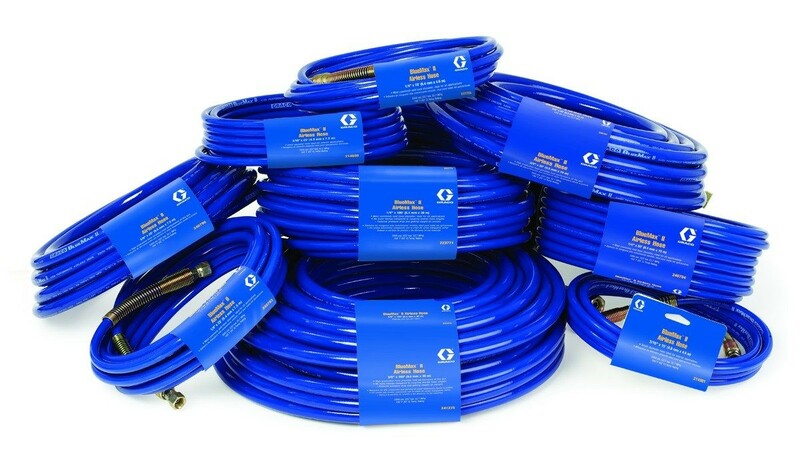 Graco’s Bluemax II Hose is the ideal choice for maximum performance. With superior flexibility and durability, Bluemax II is designed to ensure you get the best results from your airless sprayer. Light weight and flexible – over 10% lighter weight and increased hose flexibility improves usability while spraying under pressure. Highest safety standards – conductive core meets the highest worldwide safety standards unlike competitive ground wire hose designs. Minimal hose coil memory – superior flexibility and reduced coil memory provides ease of use during coiling and uncoiling. Corrosion resistant – yellow zinc-plated spring guards are more corrosion resistant. 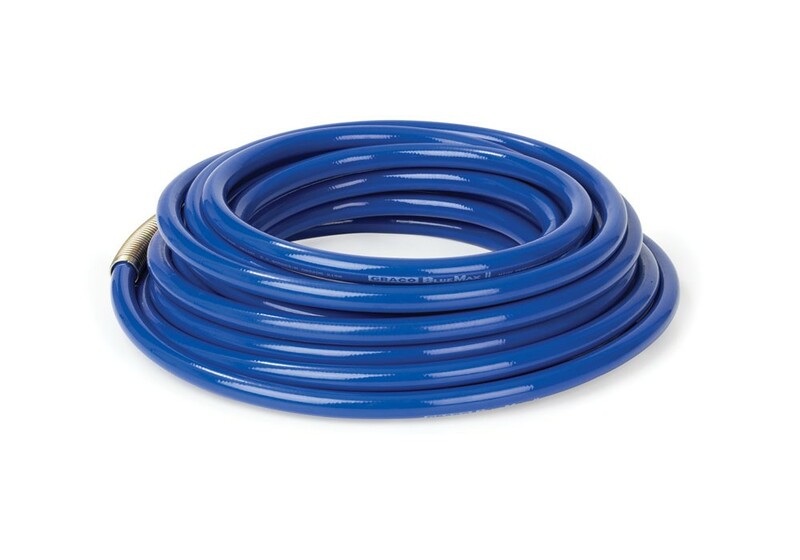 3300 psi (227 bar, 22.7 MPa) maximum working pressure rated at 180°F (82.2°C) temperature.